Christmas is right around the corner which is so exciting! The weather has turned really cold and chilly adding to the whole 'wintery' feel. I love nothing more than lighting a candle or two, which leads me on to today's blog post! 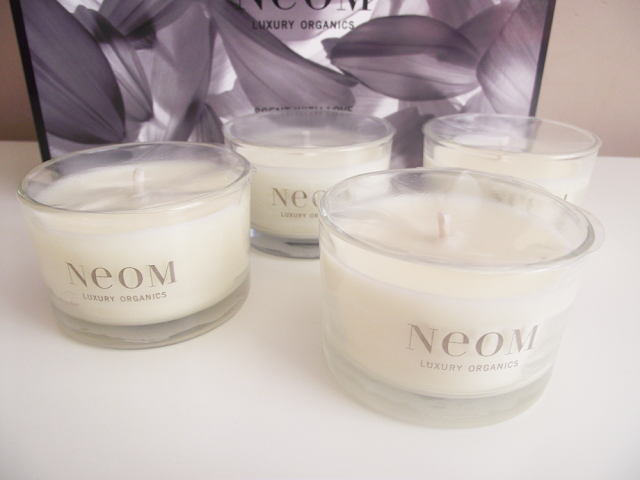 Neom is a favourite brand of mine which I'm sure you all know by now. They have a lovely range of luxurious gift sets for Christmas, one of which is the Scent with love: Travel Candle Gift Set. 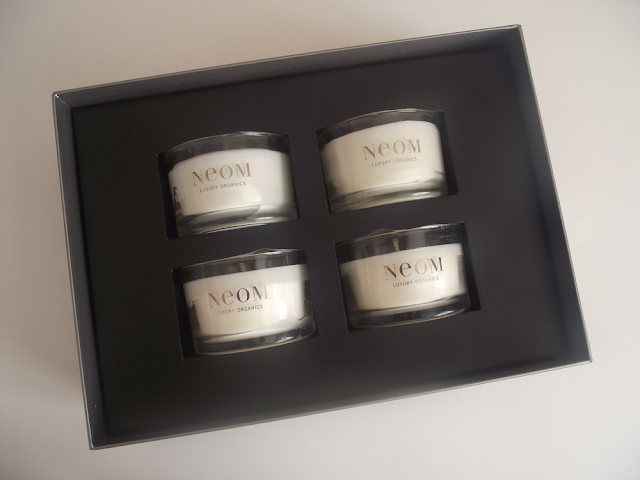 Neom have picked their four most popular travel candles and gathered them together presented in a lovely chic gift box which would look fabulous under any tree! Neom is a luxurious brand which really makes you feel special, so if you want treat someone special they would love one of the gift sets from the Christmas range. I still can't quite believe how long the travel candles actually burn for, up to 20hrs. That's 30% more than your standard premium candles, once you've burnt a Neom candle you won't want to waste your money on other scented candles which only burn for a short time and don't even smell for long either. The Travel Candle gift set is a great way of trying and enjoying four fragrances. You can place them around your home, creating different moods in different rooms. Tranquillity / English Lavender, Sweet Basil & Jasmine. I love them all, I have Harmonise in my front room because it reminds me of winter and Christmas. Whilst the other scents are in my bedroom, dining room and hallway. These candles really do make you feel happier and relaxed. 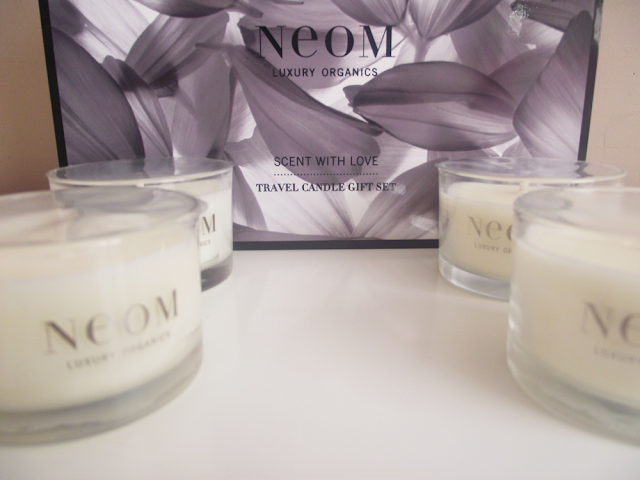 You can purchase the travel candle gift set online from www.neomorganics.com take a peek at the other gift sets as well as the lovely Christmas Wish candle and Reed Diffuser.